I realize I am a little late in posting this, but I feel like appreciating my mom never has an end time, am I right? I love my mom more and more every day. When I graduated yesterday, I couldn't sit still until I knew where my mom was sitting. PNC Arena is no small building either! When I was a little girl and I was in a performance in a play, or at church, I would always look for my mom. I would smile and recite my lines to her, and as long as I knew where she was, I knew I would be fine! A few weeks ago, I stumbled across A Letter to My Mom. I have been looking for a light-hearted read, and I felt with Mother's Day coming up, this was the perfect book for me! I was totally right! 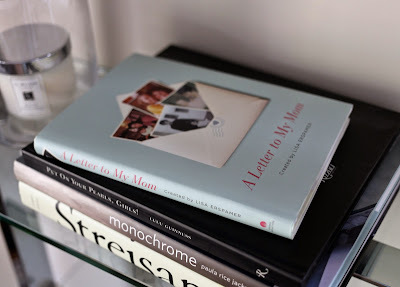 This is the latest in the "A Letter to My" series written by Lisa Erspamer, and it is an absolute delight! Starting off with a letter to her own mother, Lisa has collected letters from celebrities, like Shania Twain, Suze Orman, Kelly Osbourne and Kristin Chenoweth, along with letters from regular everyday individuals. The awesome thing about all of these letters is that every single mother is anything but ordinary! They are all superstars, and their children express there love and gratitude for support and encouragement. Some letters are filled with so much love, that I could not help but cry! They were so sweet!! My personal favorite letter was from a young woman named Annie who is currently a junior in college. In her letter she thanked her mother, Joy, for her courage. Courage that left Joy disabled but Annie and her siblings alive. This was an incredible act of heroism that is an everyday characteristic of a mother, and I was so touched to read Annie and Joy's story. I was truly humbled to read Annie and Joy's story of love, and it was only one of the amazing stories that filled this book! This is a wonderful book, and will make a perfect gift for your mom, either for Mother's Day, birthdays, or just because days! 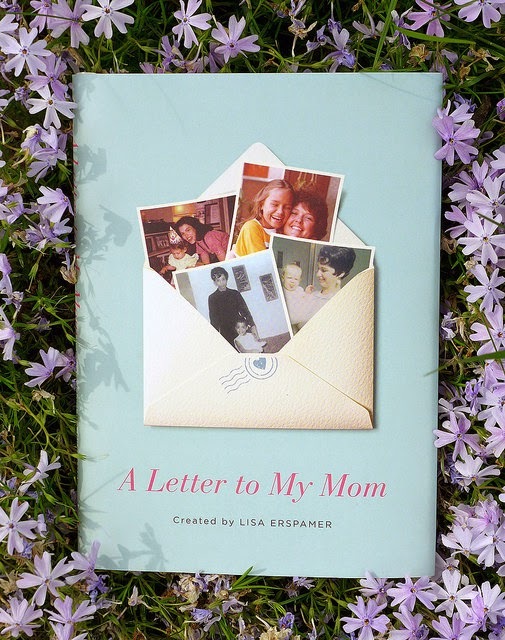 If you are interested in learning more about A Letter to My Mom, you can check out Lisa's website here! After reading this book, I was inspired to write a letter of love to my own mother, who doesn't like to have have the attention centered on her. But that is what Mother's Day is all about though, right? So here you go Mom; spotlight time! Thank you so much for always being front and center at every event I ever participated in. Thank you for always having a snack ready, and being willing to talk about all the good and bad in my day. I always knew that my Mama Bear had my back, and you still do. You are ready to take up the torch the moment I ask you, and that means the world to me! I am so thrilled to see you teaching dance again, and I truly cherish all the times we shared dancing on the same stage. You always made our time line dancing special, and you encouraged and strengthen me every step of the way. 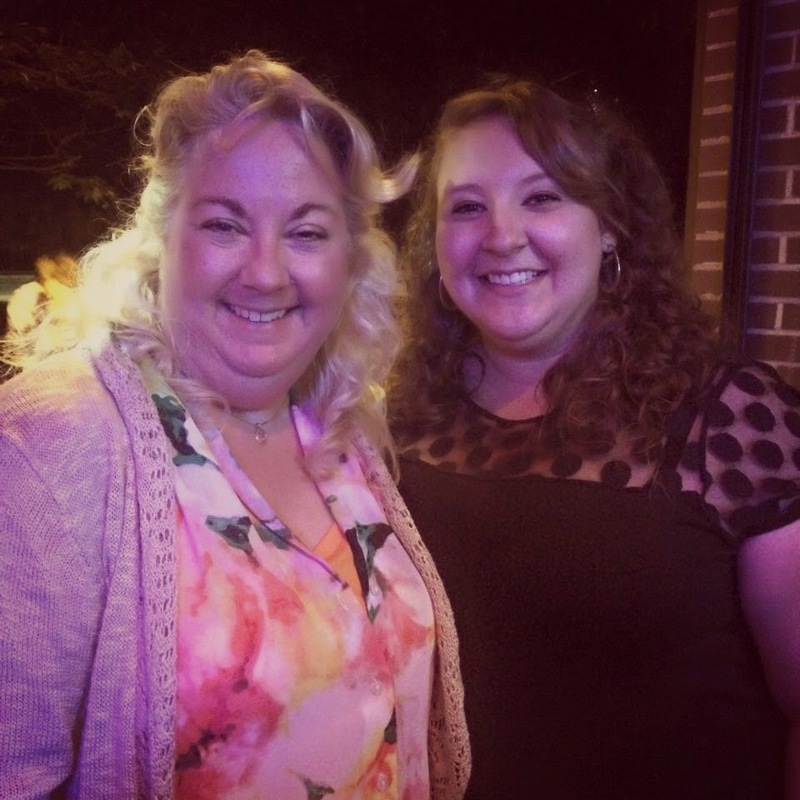 As a college graduate and a wife-to-be, I know our relationship as mother and daughter is going to change over the next year, but I am so excited to see how it will grow. When I first went to college, I called you every night, and I have a feeling that as a newlywed, I will be calling you all the time to seek your advice. You have prepared me to spread my wings and fly, and for you Mom, I plan to soar! I love you so much, and I can never thank you enough for the countless amount of energy and priceless amount of time you have given freely to me. Without any conditions or expectations. I love you Mom, and I will always love you!! What are you thanking your mother for this Mother's Day? Note: I received a copy of A Letter to My Mom in exchange for this review through Blogging for Books. All opinions are my own.